First of all, all of my family was born and raised in the State of Texas. They have grown up, gone to school, and live here. We know what Texas BBQ is all about, and we strive to give you the best tasting Texas style BBQ rub that is being made today. While I was growing up in Houston, I was fortunate enough to have a Mom and Dad that both loved to cook. 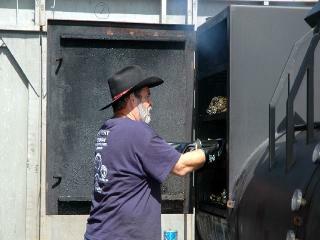 We cooked BBQ in a big brick BBQ pit on special holidays for all of the neighbors. The pit still stands there today and my Mom and I still talk about those wonderful days of cooking BBQ for the neighbors. I owe many thanks to my Mom and Dad for getting me interested in BBQ at an early age and for introducing me to such a great pastime. Just In 1995, we were challenged by a dear BBQ friend of ours; Leon, who we cooked with for several years, to develop a barbecue rub that, in his words, was to be a great BBQ rub. He was getting ready to open a BBQ restaurant and was taking his rub (he never would give me the recipe for his rub) along with him to his BBQ restaurant. We were great friends, and he said that I needed to develop my own rub. It needed to not only meet his high standards of great taste and easy of use, but it had to meet my high standards as well. 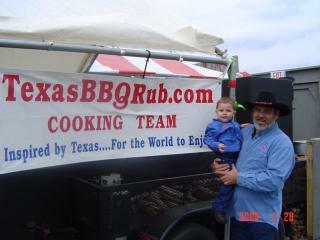 We were fortunate enough to have a great test site for the different rubs that we developed over the next few years. 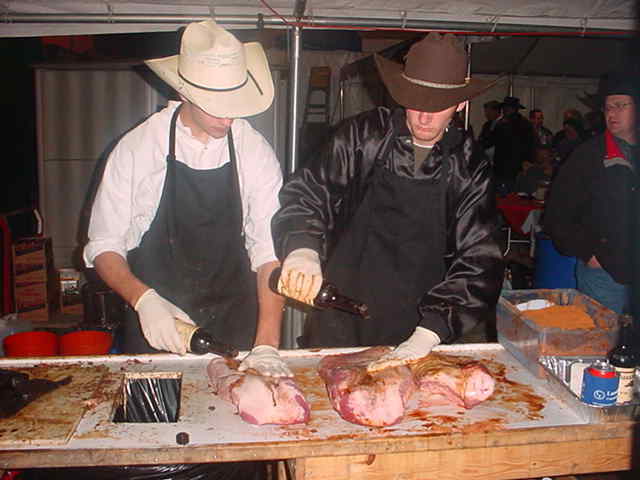 We were feeding over 1,000 people a day at our Houston Rodeo BBQ Cook-off booth. What better place to test a new BBQ rub than that? People were not only talking about how great the BBQ was, but people were walking up to us and asking us where they could get the rub that was on the meat. We had never heard that with any of the other blends of spices that we had used over the previous three years, so we knew we were on to something that was really special. 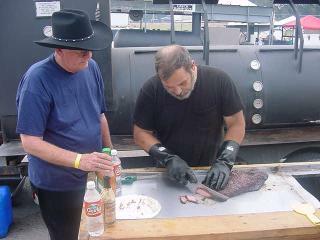 So, out of the smoke filled air in February 1998, Texas BBQ Rub was born.